Here are my donations for the April Block Lotto. 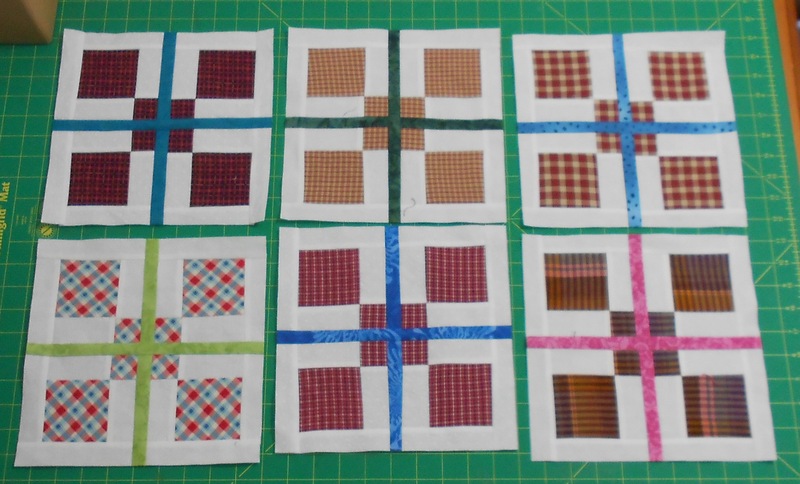 (Visit the blog for full instructions) This was a fun “sliced” nine patch block made from plaids. This would be a fun project for those thrift store bargains, Sophie suggests recycling men’s shirts! Since you slice across the center square to add the accent strip, it gets tricky to line things up again. I put pins at the seams… then lined up the stitches with my pins. 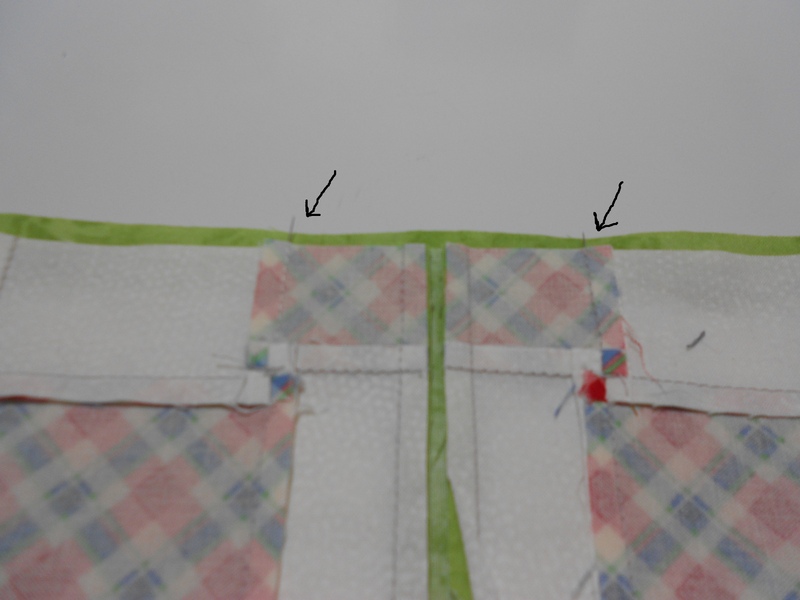 Put one pin in the center when the fabrics are right-sides-together, then remove the original pins before sewing. 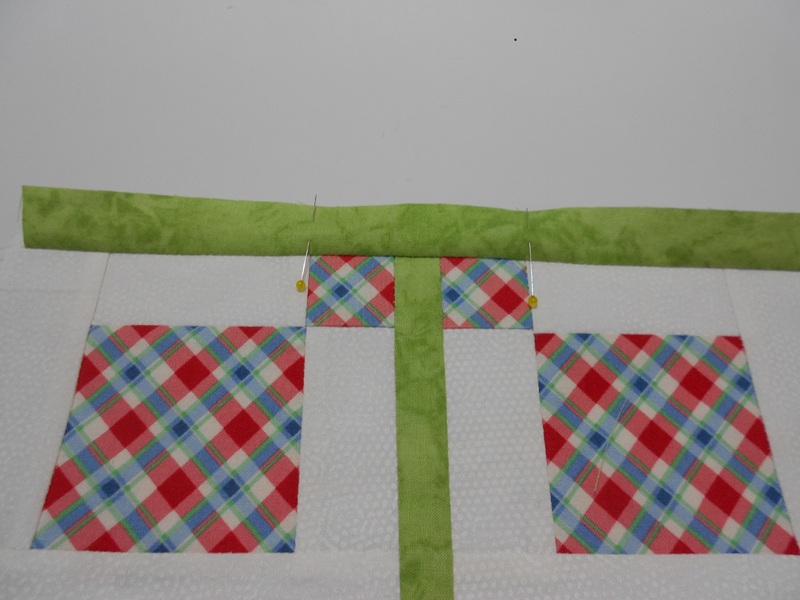 You can also see how I “pop” my four-patch intersections so the seams are a little less bulky. Think of a pinwheel and twist the seams so that all the seam allowances rotate around the center. This does mean that sometimes you are pressing to the lighter fabric!